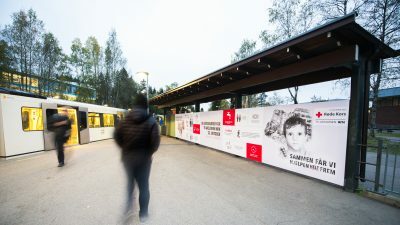 Metro banner at Sognsvann metro station, on platform. Canvas fabric with sewn rubber strips around the metrobanner (for the frame system). * Files can also be made in e.g 1:10.